Volkswagen is tightening its cooperation with the DFKI research institute to further develop robotics and AI for automotive uses. Volkswagen is participating in the German Research Centre for Artificial Intelligence (DFKI), a scientific institution specialising in artificial intelligence (AI). By acquiring a stake in DFKI, the Volkswagen Group is reinforcing its research activities in the field of future-oriented digital technologies. In addition to research in artificial intelligence, DFKI specialises in the fields of robotics, Industry 4.0 and driver assistance systems. 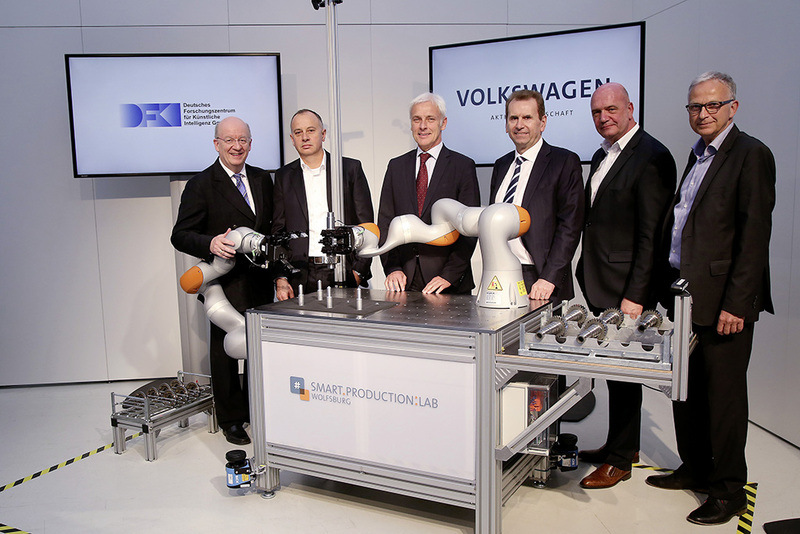 In a joint project, Volkswagen and DFKI have therefore started to develop the software framework ROCK further to allow direct, close cooperation between human beings and robots. The system was presented in a near-production scenario at the Volkswagen AG IT Symposium 2016. Key features include the measurement of ambient conditions using several sensors, collision detection and avoidance as well as intuitive gesture control. Volkswagen and DFKI have cooperated on projects with and without public support for many years. The results of this cooperation include, for example, the prototype of a smart car seat that can detect driver fatigue. By acquiring a share in DFKI, Volkswagen has intensified the existing cooperation. Volkswagen will appoint a member to the DFKI Supervisory Board and play an active role in shaping the Center’s technology and research roadmap. This will accelerate the transfer of innovations from high-level research to society and industry.